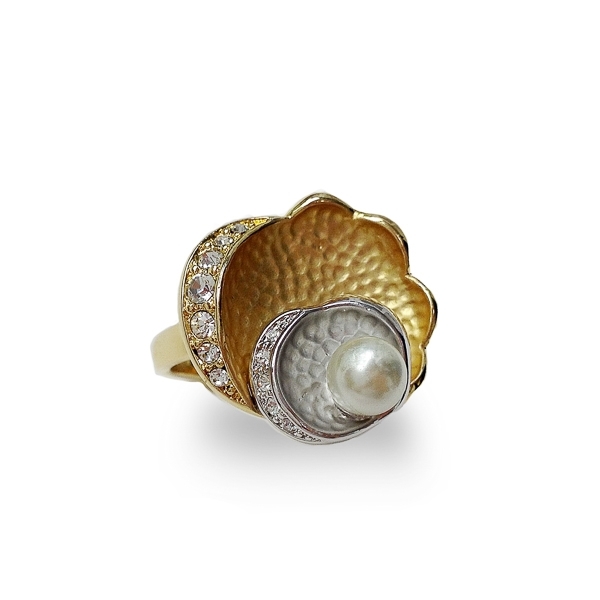 Description: 14K gold and rhodium overlay with matte textured finish, this delightful clam shell ring has crystals set on one side and a white glass pearl in the center. A detailed yet subtle and sweet piece she reminds of beautiful living things in nature. Material and Measurements: 14K Gold Plated and Rhodium Plated Base Metal, Glass Pearl, Crystals - Focal Point 3/4" X 3/4"
Enter Quantity for R-AE034 to add to your shopping cart.